On an early morning drive to look at the falls with their winter coat of ice I took a few pictures of what appears to be a frozen falls. 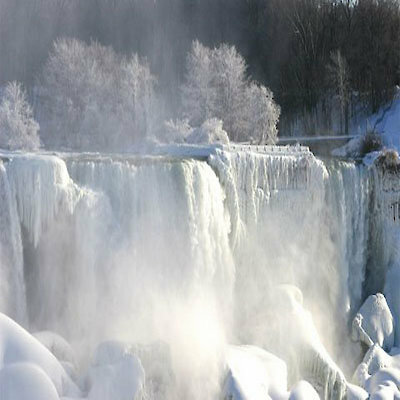 Although the mist has almost completely covered the face of the American Falls the water still flows over the falls below the frozen mist. This makes for great photography. This spectacle will be here until warmer weather (will it ever comes) starts to melt away the large chunks of ice. 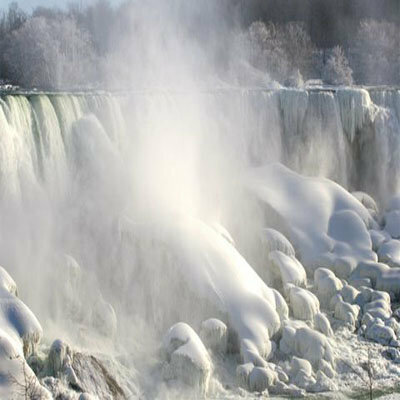 The last and only time I know that the falls actually froze due to a heavy buildup of ice was for 30 hours in 1848. 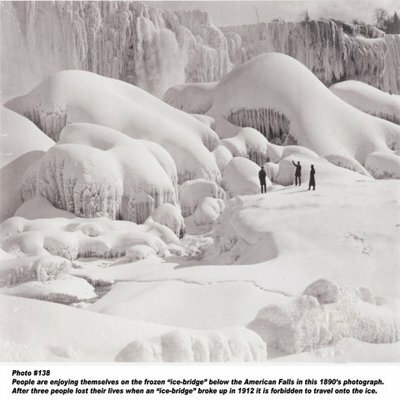 An annual ice boom installed since 1964 at the mouth of the Niagara River at Lake Erie has prevented much of the ice in the lake from reaching the falls assuring a good flow of water over the falls. 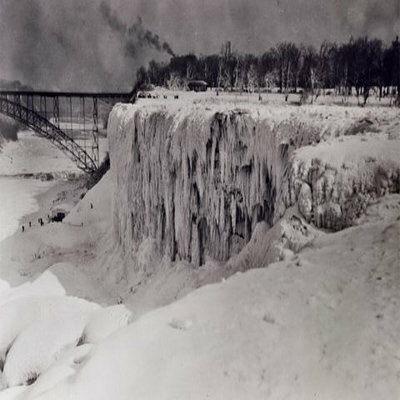 I’ve attached a few pictures I took this morning and a few my photo collection from the late 1800’s.At that time people actually walked out on the “Ice Bridge” that formed below the falls!